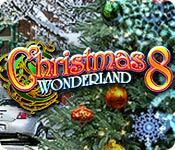 Rated 5 out of 5 by cleetoo from Christmas Wonderland games I love the Christmas Wonderland series of games. The colors and the beautiful scenes help me to get into the spirit of the season. I do like the mixture of Santa Claus and the Christmas tree and also the Nativity scene and angels. It is just a pure beautiful series of games. I anxiously wait each year for the next one. I hope that the children in the game just continue to be children and that they will be in the game for years to come. Rated 5 out of 5 by Gemina83 from Best Holiday Game Ever With ONE HUGE flaw I love this game, but most of the scenes in this series are all repeats!! What does that mean? It means that I played this game, Christmas Wonderland 8, and I'm now playing Christmas 6, and many of the search and finds are the same. Rated 5 out of 5 by jackthemac22 from Christmas is here I just love, love these games, I have all the games and play them over and over. The story's are good and fun to play. Just relaxing not much thinking to do, just what you need in this stressful time, takes you off to a happy place. I am just waiting for 9 to come this year so I know Christmas is just around the corner. Rated 5 out of 5 by Italia47 from If you love Vacation Adventures, you'll love this! Such a delightful game! I'm one-quarter into this laid-back game and realized I missed the other 7. How? It's beyond me! Like Vacation Adventures, it's an ease-on-up kind of game. Play it at your leisure and find the objects, collectibles, angels; but the puzzles and games, though, not real hard, are tedious at best. No sweat! The items are small to find but that's what makes it a little challenging and lots of fun. I love Christmas and the decorations and the snow. So cozy! The scenes are very intricate. Music is repetitious but pleasant enough. Love the puzzles and games. For its genre, it's tops in my book! I highly recommend this game. I'm glad I purchased it and plan to get the others regardless--thanks to Big Fish discounts! Rated 5 out of 5 by techblogger911 from FULL FULL STARS Kids are addicted to this game and don't want to stop playing, they are really happy to get this. But it's not only them we are too really into this game as a whole family haha! Rated 5 out of 5 by Necron99 from Another big hit I kept checking Casual Arts' site every day for this release. Bought it from BFG immediately when it came out. Not disappointed. Most of the music is absolutely wonderful. Some of the HO scenes are easy, some not so much. Just the right mix. I've gone through it twice. I can't wait for the next release of Park Ranger. Rated 5 out of 5 by denniann2 from small objects, great game get your glasses out. just like the other ones, the items can be small. the mini games aren't too bad. i only skipped a couple. it is another great game in the series. loved it!!!! Rated 5 out of 5 by LunaNik from Christmas Wonderland never disappoints! This year's Christmas Wonderland is just as beautiful, enchanting, and fun as last year's. It's a fantastic game for kids, families, and anyone in touch with their inner child. 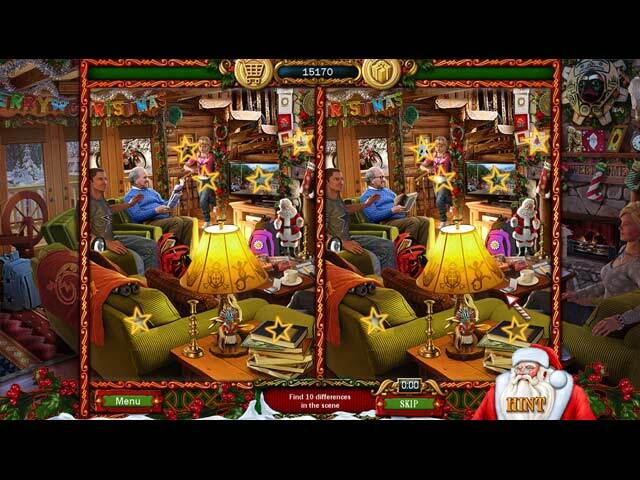 Beautifully rendered Christmas scenery and music are the backdrop for a variety of gameplay, including hidden object scenes, puzzles, and mini-games. Each HO scene includes several gold angels to find, and a number of silhouetted objects, as well as a large interactive list. The interactions include both finding obscured items and dragging items to their appropriate destinations. Puzzles and mini-games include multi-piece jigsaws, both swap pieces and rotate pieces. I also played word searches and find-the-differences. Extras include performance achievements and the ability to purchase gifts, among others. Honestly, the challenge level is more difficult than most of the HOPAs we've seen in the past few years, since each scene contains a multitude of objects. They're not junk piles, though, but items that actually fit in the scene, which is much more realistic. The single negative was that some of the interactions weren't at all intuitive, but it's not enough of a negative for me to subtract stars from my rating. I think this is the only Christmas game I've actually enjoyed this year, and I highly recommend it. Rated 5 out of 5 by PurpleRabbitt from This Makes Christmas! This is a great game to play! I look forward to these every year! It really makes the Christmas season when you play this game! You get a good story line, Christmas carols, and a nice combination of mini games to play on top of the hidden object game! I recommend this to anyone who wants to get into the spirit of the season! Rated 5 out of 5 by Bumbles2 from Another Wonderland winner !!! This Christmas game really got me into feeling Christmasy...playing this with my G'kids has been a very special memory for me...we had a load of fun playing together...ya' know it when the kids are sooo happy and I got a ton of kisses after we finished playing. this Christmas game brought us closer than we've ever been !!! Thank-you Big Fish and Casual Arts. We have the entire series and when the new one comes out we are never disappointed. The story is wonderful and very easy to follow. The graphics are spectacular...OMGoodness the artists put a ton of work into this one !!! I feel there was little to no challenge with this game...it was just nice and relaxing. There are many things to do when you play this game...like finding golden angels, finding lost and found things, and after you finish each scene you are given a puzzle to solve...they are nice and easy too. G'Kids really enjoyed that part and often asked me for some help..although its really easy to solve. Super great Christmas game for all of the family to enjoy !!! Merry Christmas all and I wish you Peace and Good Fortune in the coming year !! !